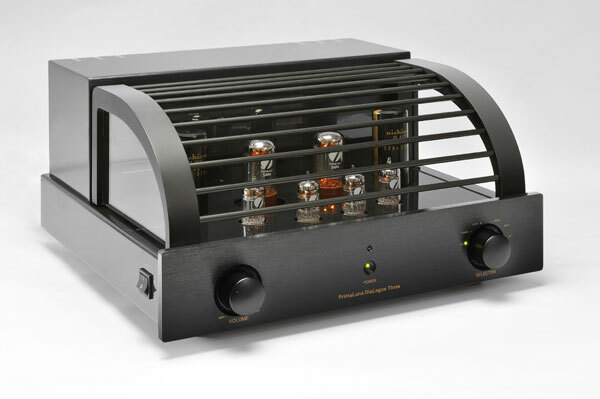 At $2499, this dual-mono, tube rectified preamp with a new front end and transformers is a giant killer. 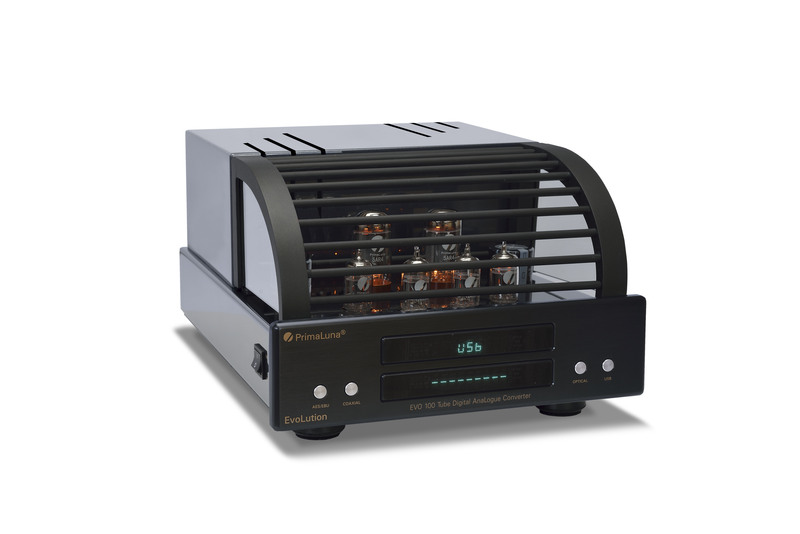 Continuing with the company’s founding principle of offering sophisticated components with advanced features for an exceptional price, the DiaLogue Three Preamplifier promises to be yet another winner in PrimaLuna’s string of first place finishers. 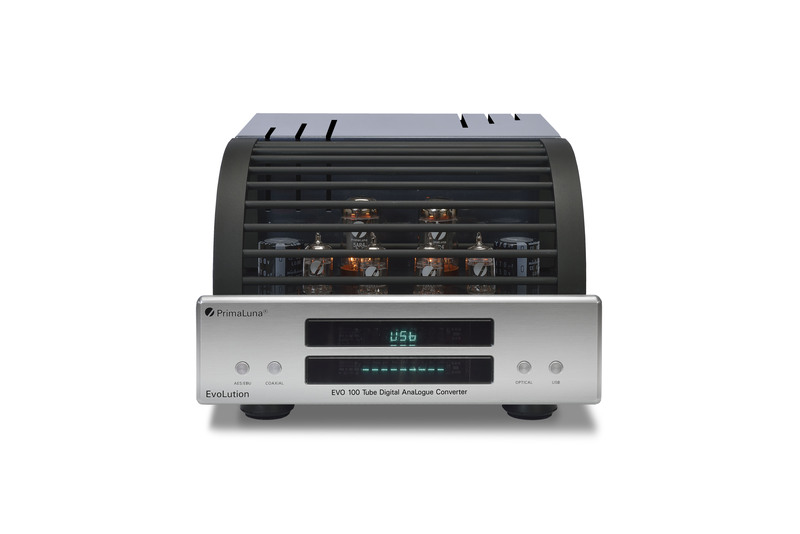 One of the first things you’ll notice about the Three is its size: it weighs in at a hefty 53 pounds, serious iron for a preamp. 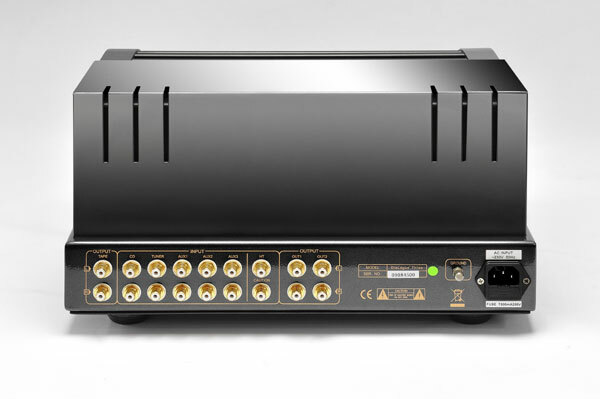 Much of that comes from its new, heavy-duty, dual-mono DiaLogue class transformers – already recognized as a reference in the industry – that provide increased control and detail. And in the unlikely event that one of the transformers should overheat, DiaLogue’s innovative new PTP-circuit cuts the primary power, allows the unit to cool down, and then resets itself. Unquestionably the most significant feature is DiaLogue Three’s front end, a complete re-design of the award winning ProLogue Three. Utilizing all 12AU7s, it combines with the new transformers to lower noise and increase low level resolution in ways not thought possible. The DiaLogue Three is tube rectified, utilizing two 5AR4 vacuum tubes. And it employs all premium parts, including an Alps Blue Velvet potentiometer, Solen capacitors (including some tinfoils) and fast-recovery diodes. Finally, the DiaLogue Three incorporates a Home Theater pass-thru circuit and comes with a stunning, heavy-gauge, anodized aluminium remote that controls all functions of the preamp as well as those of the Prologue CD player. All these exceptional features come encased in the exquisite DiaLogue chassis, with its five- stage, hand-rubbed, high-gloss, black-sapphire finish. The DiaLogue Three retails for $2499. You can find more details and specifications at www.primaluna.nl or www.primaluna-usa.com. This entry was posted in DiaLogue Series, Technology and tagged audio, electronics, hifi, music. Bookmark the permalink. The DiaLogue Three preamplifier is now available all over the world. Respectively on http://www.primaluna.nl and http://www.primaluna-usa.com, you can get all information.